We can only say one word at a time or do one or two behaviours simultaneously. Consciousness has a difficult time handling ambiguity (originally, ‘going two ways’) and is in real trouble when the choice rises to three or more equal options. Therefore, one of the drafts needs to become the final manuscript that guides our behaviour, and from which our conscious self makes sense of the world. In an emergent self-organising process, like Darwin’s natural selection, there is no central controller who selects any particular draft – the whole system ‘decides’. 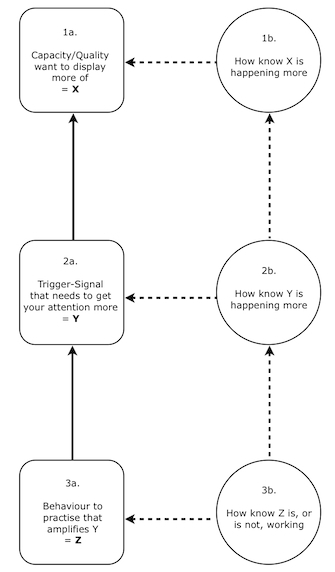 The multiple drafts model suggests that until we actually act, our behaviour is poised to go in a number of directions; like a tennis player continuously gathering information about which way to move next, attempting to anticipate and yet wanting to delay their commitment to one direction until the very last moment. An equivalent process happens as we attempt to make sense of what someone is saying. We start making meaning from their very first utterance and each extra word and nonverbal subtly alters the meaning we make – until there’s a coalescent moment, ‘oh that’s what they mean.’ Dennett proposes that even those first hints of meaning are only the tip of an iceberg of possible meanings that are being considered by the brain. Free will to do what? The neuroscientist’s model is disturbing. Not only because we may have been fooling ourself for all these years, but because it seems to remove our ‘free will’ to decide to act. If we accept the NLP dictum that “people make the best choice available to them given their model of the world” (Robert Dilts, Strategies of Genius, Vol 1, p. 305) then, in-the-moment, we have no choice but to take the ‘best choice’ available to us. Humberto Maturana and Francisco Varela emphasise that “the nervous system functions as a closed network of changes” (The Tree of Knowledge, p. 164). This operational closure means that the system and the system alone specifies what counts as relevant, and a system cannot operate in a way that is not organised to do. Our decisions and actions can only be drawn from the existing organisation. Then how does the ‘outside’ world influence us and how to we decide to do something new? This challenge to the standard view of humans, rather than make us mere autonomons, requires us to have a different sense of self and to reconsider how we influence our own behaviour. A participant on a recent clean facilitator training inadvertently provided a clue to how this might happen. When asked to explain her reasoning for choosing a particular client word to ask her clean question of, she said “it just jumped out at me”. This makes sense when we consider that our ‘conscious self’ is always the last to know. It also gives us a way to influence ourselves, not in the moment, but in advance. If we can train our system to bias the things that ‘jump out’ we will automatically act in a preferred way, i.e. we can bias the way our future selves respond; even if at the time we are not consciously making decisions. What would need to ‘jump out’ that would mean I would respond in a way that I subsequently assessed as more beneficial for me / others / the planet? How can I train my system to give those aspects sufficient salience that they are automatically triggered by the context? You’ll see we are using the same ‘working backwards from the desired outcome’ logic as used by the necessary conditions vector and we are using adjacency.4 Rather than going straight for doing the behaviour more often, we go ‘next to’ the behaviour to what jumps into our awareness, and then we go ‘next to’ that (what we need to do to increase our capacity to generate those signals). What we actually ‘practise’ may not look anything like the desired behaviour, and paradoxically may even look like it is going in the opposite direction. Remember the “wax on, wax off” part of the film The Karate Kid where the student doesn’t realise that cleaning the master’s car is training his marshal arts ability to defend himself automatically. By the way, we realise the circularity of this explanation – how do we decide to practice? But circularity is the very nature of self-reflected consciousness. Douglas Hofstadter didn’t call his book I am a Strange Loop for nothing. How does practicing a behaviour, Z train our unconscious to make us aware of signal Y that will help us do more of the desired behaviour X? It is like part of the unconscious says ‘Oh I see, we are paying attention to these things now, I’ll keep an eye out for circumstances when I can nudge us in that new direction.’ On the other hand, the same part can notice that we have announced we are going to do X, but have put little time or energy into doing anything about it, so one of the other multiple drafts continues to take precedence. In effect we unconsciously think ‘this can’t be that important so I’ll keep nudging us in the direction we’ve been going in’. This approach is particularly useful where we already have the behaviour within our repertoire and we would like to do it more often, more consistently, or more fully. If we have no experience of doing the behaviour (e.g. speaking a foreign language) we may need another method. Having said that, we suspect this approach would still be helpful since all expertise involves unconscious calibrating. 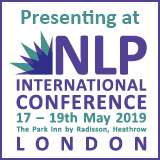 In New Code NLP there is a strategy for self-influencing that is based on ‘setting an intention’. You ‘set an intention’ to do a particular behaviour and you let the unconscious mind figure out how and when to do it. (Ernest Rossi has a similar approach.) Setting an intention is different from goal-setting in that it is less focused on the outcome and more focused on the commitment. The theory is that if we are consciously congruent when we set the intention, the unconscious will do the rest. We think there is much merit in this approach and in practice we have noticed two potential flaws in the theory: Firstly, we are often far from fully congruent (if we were, we probably wouldn’t need to set our intention in the first place); and secondly, sometimes it just doesn’t happen as we would like – so then what to do? Reset your intention – more often, more intently? Our model addresses these two issues. It acknowledges the major role played by non-conscious mental processes and it suggests that we can support the unconscious by raising the profile of the triggers that will lead to more of the required behaviour. But that may not be enough. Our research into self-deception shows how good we can be at fooling ourselves and ignoring evidence. To counter these tendencies we incorporated the notion of ‘undeniable evidence’ as part of the feedback to self. The previous Developing Group considered the question: How do you know when what you are doing is (or is not) working for the client? This is essentially the same question as: What do you want to automatically ’jump out’ and guide you while you are facilitating? What are you unconsciously calibrating? Make sure paper (e.g. ‘My Dream Journal’), pen and a light are within reach beside your bed. Just before you go to sleep, set an intention to remember your dreams, i.e. make a commitment to yourself. Whenever you wake up (whether in the morning or during the night) make your first action (even before you get out of bed) to reach for the pen and paper. Write down any dream fragment and whatever you are feeling in that moment. Now just wait – write down anything else that comes to mind that seems related to your recent dreams. Get up. If any other fragments come to mind during the day write them down. Repeat steps 1-6 every day. Most people report that within a week or so they are remembering significantly more of their dreams. James found that within a few weeks he was remembering 4 or 5 dreams a night! An even more compelling example of how the process can work comes from people who want to be conscious during a dream – to have lucid dreams. The trick is to know what signals in a dream can trigger the conscious awareness “I am dreaming”, and to practice looking for them when you are awake! By all accounts, the written word rarely stays constant in dreams. If you read something in a dream and then either read it again or just stare at the words they will dissolve or change. Also apparently we rarely look at our hands in a dream. So if you can train yourself to look at your hands in a dream and wonder if they are your real hands or your dream hands, that can be enough to activate your awareness of being in a dream. Since you cannot consciously practice these behaviours in a dream you have to practice them when you are awake. Every now and then, several times during the day, pause and look at what you are reading and look at your hands and wonder ‘Are these real or am I dreaming?’. After repeating this behaviour you can find yourself asking yourself the same question in a dream – and if the answer is ‘I’m dreaming!’ you are conscious. It took James a couple of weeks before he was aware of questioning himself in a dream. The first few times it happened he was so excited he woke up! Eventually he learned to control the excitement and remain asleep and lucid during the dream. The reason these two examples are so valuable is we have no option but to recruit the unconscious since we cannot consciously decide to remember a dream during the dream, and likewise, we cannot consciously decide to become conscious during a dream. Therefore we have approach the conundrum adjacently. In both cases, we (a) make a conscious declaration of intent; (b) practise behaviours which demonstrate to ourselves our seriousness and raise our ability to detect certain signals; (c) trust that our unconscious will do what it needs to when it needs to do it; and (d) take small successes as signs of progress and keep iterating round the process. Let us add a few more pieces to the pie. The above cited research begs the question: what is the role of consciousness? Some scientists have suggested it is nothing but an ‘epiphenomenon’, a mere by-product that serves no purpose. We wonder if they really believe we would be living in mega-cities in the midst of a debt crisis if we had yet to evolve conscious awareness. The easiest way to see how central consciousness is to being human, is to see what happens when it is taken away or diminished. People who lose some of their faculty to be conscious through an accident, illness or degeneration often show major changes in behaviour and a shrinking of their life experience – not that they know it of course. Inevitably, when we consider consciousness we have to consider our sense of self – ‘The thinker of the thoughts’, as we love hearing Deepak Chopra say. Scientists are pretty unanimous that there is no ‘ghost in the machine’, no ‘theatre of the mind’ where a little ‘homunculus’ lives. However, removing the idea of a controlling ‘I’, a decision-making CEO, doesn’t have to relegate consciousness from the Premiership into the non-league wilderness. It also provides what scientists term ‘a workspace’ that enables the system to pause and reflect on itself – using memory as feedback and its creativity to feedforward – and to imagine things that have never happened. These reflections influence the future behaviour of the system – which can then be reflected on, and so on. We know we concoct stories based on those reflections. We have little difficultly seeing that these reflections come after the fact, and are explanations. If we shrink the time scale down from reviewing events that happen hours, days or years ago to the constructing of post-behaviour ‘plausible stories’ in a fraction of a second, we can see how we might think the previous review was the cause of the next act, rather than the other way around. 1a. Decide on the behaviour you would like to do more of (in particular contexts) =X. 1b. Identify how specifically will you know more X-ing is happening? 2b. Identify how will you know Y-ing is happening more? 3a. Identify several ways of practising how to get good at generating Y =Z. 3b. Identify undeniable evidence that will let you know whether you are making ‘incremental progress’ – or not. If you detect incremental progress do more of Z until you have demonstrated you are good enough at doing X and it has become a habit. If you detect no, or decremental progress, identify what other Y and/or Z are likely to have more influence, and repeat using those. something that you need to do repeatedly or to sustain over a long period. whatever selects ‘drafts’ that leads to doing more of X.
designing of the environment to support Y happening. The practising is having the desired effect. amend the process if it is not working. 2 On the other hand, there are inbuilt binds ‘designed’ to keep us from changing our minds too easily. Someone who has over- or under-eaten for many years (especially if this started in childhood) will have coded ‘unhealthy’ as ‘normal’. That means whenever they attempt to change (or even to contemplate a change) towards ‘healthy’ it will feel ‘weird’, if not downright dangerous. To change, the person needs to recognise that they cannot trust their usual responses, so what do they trust instead? Learning to recalibrate signals is a challenge because it is a second-order change. It can take years to get to a healthy size and maintain that for long enough for it to become the new normal. 4 See Metaphors in Mind, pp. 201-203 formalized in our ‘Framework for Change’ coaching process and our article: Proximity and Meaning: A Clean approach to adjacency. 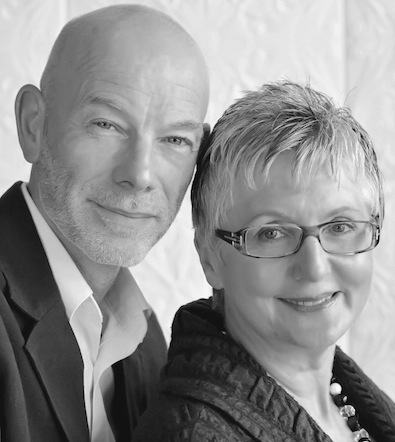 5 See Judith DeLozier, Mastery, New Coding and Systemic NLP. Our PPRC model shows that it puts the focus on the perceiver rather than the perceived. See our Paying attention to what they're paying attention to: The PPRC Model. 6 See our article: Learning to Act from You know to be True. 8 See our article: Modelling Robert Dilts Modelling. 9 Our first ever article back in 1993 Your Thinking Virtually Creates Your Reality looked at what we called SRP, ‘the systemic reflective’ principle’ we explored how our out-of-awareness patterns of mind manifest themselves in our physical circumstances – how the map becomes the territory – and how this enables to discover our blind-spots by looking at the circumstances ‘create’. 10 See our articles: Attending to Salience and The Neurobiology of Space. 11 See our articles: Feedback Loops and Iteration, Iteration, Iteration. 12 Having said that, with a modification we can apply the approach to modelling and the acquisition of skills from exemplars – those people who impress us with their ability to do something: (1) Code the structure of the required behaviour; (2) Identify the criteria for how well the behaviour is working, or not, and the signals that bring get triggered by the presence of those criteria; and (3) Find ways of practising how to get good at generating #2. Also see James’ blog about modelling criteria, How DO you know?. Claxton, Guy, The Wayward Mind: An Intimate History of the Unconscious (Abacus, 2006). Patrick Haggard et al (1999) 'On the relation between brain potentials and awareness of movements', Experimental Brain Research, 126, 128-33."